From the 1920s until the 1930s, two vice queens, Kate Leigh and Tilly Devine, ruled the Darlinghurst underworld. Their rivalry was infamous, leading to a litany of violent crimes enacted by their razor gangs as each struggled to gain dominance in a world of sly grog, narcotics and prostitution. In 2019, Kate Leigh’s former sly grog shop is about to reopen as a trendy coffee spot. The shop is being gutted for renovation, but there are still ghosts in the walls who aren’t done settling old scores. 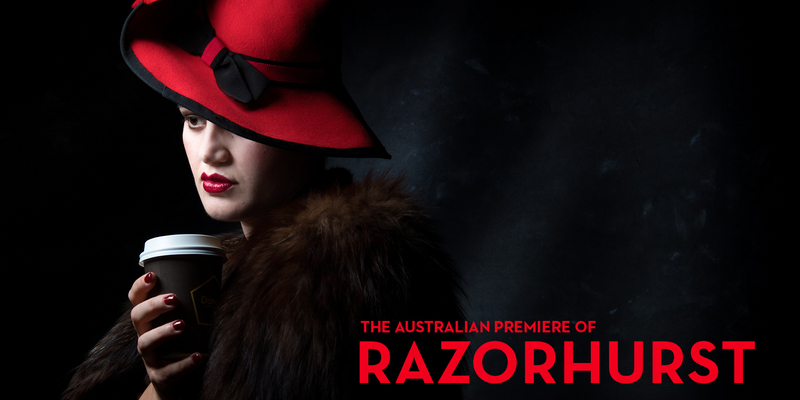 Razorhurst explores what it means to be a woman in a man’s world, forced into a life of crime by circumstance. At turns crass and hilarious, Razorhurst is a “compelling meditation on the explosive cocktail of gender, class, and power underlying an infamous period in the history of crime” (Newark Star-Ledger). Razorhurst is part of the 2011 Postcode offer. Residents of 2011 can obtain half price tickets 30 minutes prior to performances Mon-Thurs with proof of address. Subject to availability.